The Congress's Working Committee will meet in Ahmedabad on March 12 and then hold a rally in Adalaj in Gandhinagar later the same day. 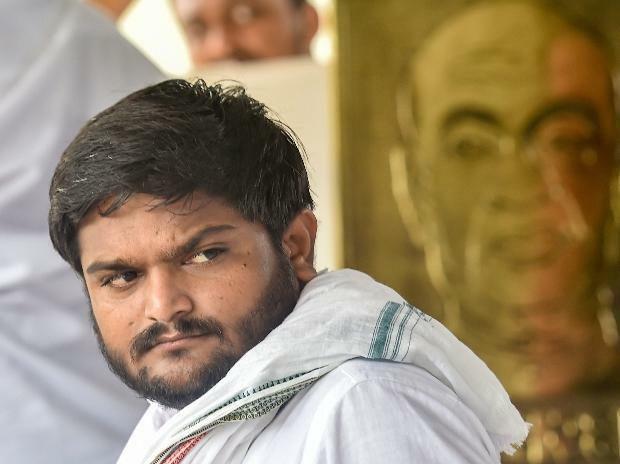 Patidar quota agitation leader Hardik Patel on Sunday announced he is joining the Congress and hopes to contest elections if rioting cases filed against him are not a "hindrance". However, Patel's plans to contest the Lok Sabha polls, the schedule of which was announced by the Election Commission of India on Sunday, may be possible only if he clears legal hurdles. "I would also like to state that if there is no legal hindrance and party decides to field me in electoral politics, I would abide by the party's decision. I am taking this step to serve 125 crore citizens of India," he said. In July last year, the sessions court of Visnagar in Mehsana district had sentenced him to two years in prison for rioting and arson which took place in Visnagar town in 2015. Patel has indicated that he wanted to contest Lok Sabha polls from Jamnagar seat. On Friday, the Patidar Anamat Andolan Samiti (PAAS) gave him the go-ahead to join the Congress. While Congress state unit chief Amit Chavda said Patel's induction into the party would strengthen it, Gujarat Chief Minister Vijay Rupani said the decision proved that the PAAS leader was a "design of the Congress". "We have been saying this, and now it has been proved that Hardik is a design of Congress party. His agitation was at the behest of the Congress. He has cheated his community, misled youth. He would get a befitting reply from the Patidar community if he stood for polls," Rupani said. "Till now Hardik was leading a social agitation. Now when he joins the Congress party, it will strengthen us in Gujarat," Chavda said.